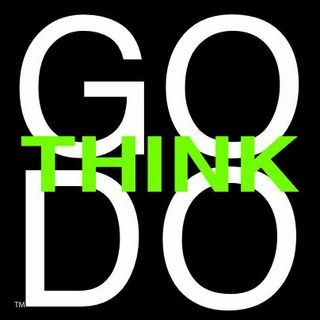 ThinkGood™ is the first Purpose Network.© A community of people connecting with people to help people. Hey there! Thanks for dropping by ThinkGood! Take a look around and grab the RSS feed to stay updated. See you around! I work as a sales and office supply associate in a busy office supply store, whose familiar advertising slogan, up until very recently, was, “We Make It Easy.” Our goal, at point of sale (at the registers, the last point to impact their perception of their overall experience and the customer service they received) is to provide the customer a personal, pleasant, comprehensive and speedy checkout experience. Customers desire and expect this. As a whole, people don’t find waiting in line to be appealing, and when their time is limited, they find it downright frustrating, even aggravating. “Why isn’t there another person opening up?” I’ve experienced a relatively small number who resort to being impolite, and, fewer who are verbally rude by all estimation. Of course, there are more people who face such temporary delays with calm, patient understanding, leaving those who don’t to stick out like a sore thumb. When the store experienced a week-long period of fluctuating internet service, then intermittent loss of service for the greater part of two consecutive afternoons, right during peak business hours, there was high anxiety among staff about how customers would react to the inevitable longer lines due to slower processing. The consensus was that it would be “a nightmare”. I thought about what could happen differently, though. I decided to think & speak with an positive attitude, and I set about briefly letting people know why there was a delay, that we were working hard on fixing it for them, and that we apologized for any inconvenience. Additionally, I decided to engage, humor and, as needed (for those who became a bit impatient or even grouchy), distract, the waiting customers from the slower pace. I chatted with a couple of groups of 4-5 customers, observing that it was “kind of like the ‘old days’, when we had few or no automated equipment to expedite purchases, and without all of our current electronics, the pace of life was slower in general, and we had time to say hello and even talk to those around us. something wonderful, and a bit unusual happened . . . Complete strangers picked up the conversation begun with those ahead of them, and were, instead of impatient or unpleasant, cheerful, chatty, asking about each other’s days, commenting on each others’ purchases, of kids’ school project supplies, and chuckling while bemoaning the upcoming challenge of getting said project done after a last minute rush for poster board and markers. One customer even said to me, “Thank you for all your help! I hope the day gets better for you all here!” “Better for us?”, I thought. Here she was waiting in line for nearly 10 minutes, and she wished US a better day? Now that, I thought, was AWESOME. So, go out on a limb and be positive in the face of a tough or negative situation; do it in front of people who might have reason not to be positive at the time…and see what happens. You—and they—might well be very pleasantly surprised, and all walk away smiling, eager to pass that smile to others! Her hope is to continue to Do Good through reaching out to others through ThinkGood, sharing with all of you her energy and appreciation for the (sometimes hidden-suddenly revealed) moments of beauty in life. A hyper-local web site that links up people in a community looking to help with individuals or small nonprofits looking for help: That’s the concept behind Think Good, a six-month-old social enterprise in Boston founded by two tech startup veterans. (Note that the enterprise is still in beta, and that link takes you to a place-holder, not the real web site). Still, while the enterprise is barely off the ground, the founders’ ambitions are nothing if not large. “Our long-term goal is to be the social responsibility brand and build the largest community of ‘do-gooders’ who live the brand,” says Bland. How would it work? Helpers would fill out a profile online with such information as their skills, how far away they’d be willing to drive and so on and people or places looking for help would post their need ( or call the office). Then an alert would be sent to appropriate potential volunteers to see who would be interested in lending a hand. If you don’t sign up to get an alert, then you can just periodically browse the site to see what’s there. A long-time member of tech companies, (including Viaweb, the business co-founded by Y Combinator co- founder Paul Graham that was sold to Yahoo YHOO -1.26%! in 1998), Bland first got the social enterprise bug after 9/11, when she joined the staff of Connected Living, which aims to address a digital divide we seldom hear about–the one involving senior citizens who don’t know much about computers. “They were being left out of the conversation,” she says. It was the first time she’d worked for something that left her feeling really good about what she was doing every day, that she was making a positive difference. About a year and a half ago, she met co-founder Jeff Ernst, who had been involved in a number of early stage startups, including Talent Reef, a social recruiting platform, but also made a significant commitment to volunteer work, including a church group that sends high school students to Mississippi every year to continue with post-Hurricane Katrina recovery work. He was stunned not only by the “euphoria” he felt while doing such work, but also the change he saw in the teenagers he accompanied. “I got to talking to my daughter about how we could bottle up that feeling throughout the year,” he says. That’s partly where the kernel for an idea came from. Bland and Ernst decided the best answer would be a web site that would connect people in specific communities looking to help or looking for help–small tasks, either for an organization or for an individual, that could be done throughout the year. With dozens of people already expressing interest, the partners decided the wisest course of action was to start small. Thanks to a critical mass of interest among residents of Portland, Me., they’re starting a pilot there. Then they hope to fine-tune the concept and create “a Think Good in a box,” says Bland, that can be replicated easily in chapters in any community. One key tool, they hope, will be something they call their “Inner Circle.” That’s a group of individuals, schools, nonprofits and other volunteer “do-gooders” (their term), who participate in weekly calls to discuss improvements, changes, what’s working, what isn’t, and share their stories. So far, they’ve had 40 people sign up, including someone from Malaysia and a group from India. The question, of course is , with such lofty ambitions, where will the revenues come from? For now, Bland and Ernst are kicking around a few ideas. First, through discussions with their Inner Circle, they’ve learned there’s a desire to get together in person. So they plan to create workshops, retreats, benefit concerts, and conferences. They’re also toying with the idea of designing branded apparel; they say they’ve been approached by organizations interested in associating themselves with social impact enterprises. Then there’s the idea for a point system (called social good currency), which would accumulate based on individual activity and could be exchanged for donations to charities. Certainly, there are a lot of sites using the web for social good. (I recentlywrote about Reciprocity & Co., one such effort aimed at crowdfunding). But the hyper-local and national–even international–focus of this one sets it apart from at least some of the others. A man bought himself a morning coffee and doughnut. Then he bought coffee for the next 500 people in line. On Monday, a Canadian man walked into his local Tim Horton’s in Edmonton, Canada, got himself a Boston cream doughtnut and a double-double, and then paid for 500 more large coffees for his Canadian neighbors. So, great work, America. We got showed up by Canadians yet again wtih their friendly, selfless ways and their likeable doughnut chains. The bill came to nearly $900, and the man refused to leave his name or a reason for his random act of caffeinated kindness. It took the shop until 8:30 the following morning to get through all the free coffees, and the mysterious man (I call rights to Coffeeman: the superhero) made hundreds of people’s days. No one ever does this in America. We’ve all thought about doing it, how good it would feel, how awesome it would be to sit outside the Dunkin Donuts, and see people’s smiles as they emerged, and then tell them you were the one who bought them the free coffee and that they could repay you anyway they wanted. But at the end of the day, we never do it, because 900 American dollars is a lot of French crullers for ourselves.